I found this photo at Postmark Cafe in Park Slope [Brooklyn]. 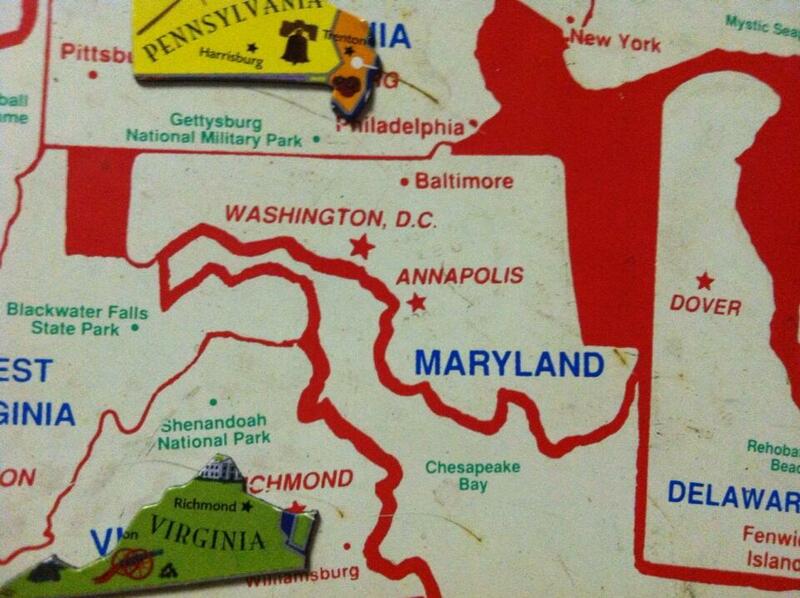 I thought it was funny how they seem to completely disregard the Chesapeake Bay. I grew up in a town right on the bay, about a hundred miles north of the most northern tip of where the map’s Chesapeake Bay ends. I’m laughing right now looking at this map again. The panhandle that links western Maryland to the rest of it is literally only a mile wide. It’s so fat in this picture. Also why is Baltimore almost inside of Pennsylvania? Delaware could’ve been noted too, except for the fact Delaware has always been fucked up.